As residents, students, or employees in New York City, you have access to many of the finest research and circulating libraries in the world. If you are a CUNY student or faculty member, you have access to any CUNY library (The CUNY Law school requires special permission to access). To learn about the other CUNY libraries, go to the CUNY tab in this guide. Learn about the Manhattan Research Library Initiative (MaRLI). This initiative enables approved New York Public Library cardholders with a demonstrable research need not met by currently available resources, to borrow materials from NYU, Columbia and the NYPL. Click here to search BobCat, NYU's online catalog that includes Bobst Library as well as the libaries of Cooper Union, the New School, the New York Historical Society and others, or CLIO, the catalog for the Columbia and Barnard libraries. The New York Public Library (NYPL) is comprised of four world class research libraries and close to 100 branch libraries in Manhattan, Staten Island, and the Bronx. 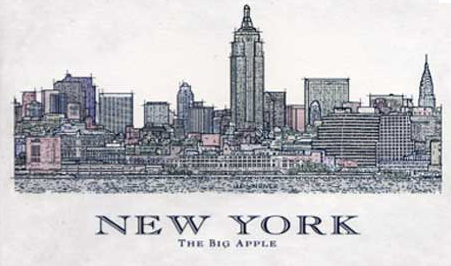 Anybody who lives, works or is a student in New York City, can get an NYPL Library Card. Click on the Lion to access the NYPL's homepage, locations and hours. The Stephen A. Schwarzman building: the Beaux-Arts landmark building on Fifth Avenue and 42nd Street houses outstanding research collections in the humanities and social sciences as well as a circulating children’s collection. The New York Public Library for the Performing Arts, Dorothy and Lewis B. Cullman Center: an essential resource for everyone with an interest in the arts--the Library is known particularly for its prodigious collections of non-book materials such as historic recordings, videotapes, autograph manuscripts, correspondence, sheet music, stage designs, press clippings, programs, posters and photographs. The Schomburg Center for Research in Black Culture: For over 80 years the Center has collected, preserved, and provided access to materials documenting black life, and promoted the study and interpretation of the history and culture of peoples of African descent. The Science, Industry and Business Library (SIBL): a premier public business library with comprehensive print materials, e-resources, and services for start-ups and established businesses seeking expansion, and for job seekers from entry to executive levels. Founded in 1804, this is the oldest museum in the city (with a renowned collection of paintings from the Hudson River School); the library has materials from the colonial era into the twentieth century, including documents relating to construction of the subway. The New York Academy of Medicine Library houses one of the largest medical collections open to the general public in the United States. In 2012, the Academy will be launching a new Center for the History of Medicine and Public Health to promote the scholarly and public understanding of the history of medicine and public health and the history of the book. It is recommended to call ahead to make an appointment to visit. The Library functions as a full service information center. It provides reference, legal research and other assistance including training in the latest techniques in computer assisted legal research as needed by justices and other personnel in the courts, the New York Criminal Court, interns of justices, and to various city and state agencies on a routine basis. It provides reference and research support for Court personnel and outside users referred to library through various sources including Public Access Library, other courts, through cooperative arrangements with other libraries. Residents of the Bronx have access to over 3 dozen NYPL branch libraries. Primary and secondary materials, including photographs, memorabilia, and a complete run of their publication, The Bronx County Historical Society Journal. Every resident of Brooklyn lives within a half-mile of a Brooklyn Public Library (BPL) location. BPL consists of the landmarked Central Library, a Business Library, and 58 neighborhood libraries. Eighteen libraries are historic Carnegie Buildings. BPL also serves adult learners through five learning centers. Click on the bridge to see a list of locations and hours. Residents of Brooklyn can also apply for an NYPL Library Card. 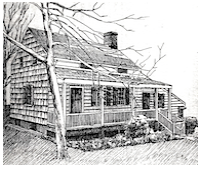 Founded as the Long Island Historical Society in 1863, the Brooklyn Historical Society holds published works, newspapers, and maps, as well as manuscript collections from prominent Brooklynites and baseball memorabilia from the 19th century. It is recommended to call ahead to make an appointment to vist the library. Its mission is to serve the bench, the bar, and the public by providing professional library services. The library staff can provide directional, bibliographic and reference assistance. However, the staff may not select a form; explain civil or criminal procedure; interpret statutes, cases, court rules; or give assistance in preparing those documents necessary to either bring or defend an action. The staff of the library is prohibited from rendering any advice, opinion, or interpretation of the law. The Queens Library serves 2.2 million people from 62 locations plus seven Adult Learning Centers and two Family Literacy Centers. It has circulated among the highest number of books and other library materials in the country since 1994, and is the second largest public library in the U.S. in terms of size of collections. Residents of Queens can also apply for an NYPL Library card. The Queens Historical Society Collections encompass all 300 years of the history of Queens in various different materials and formats, including photography, manuscripts, maps and artworks. Primary materials relating to mayors Fiorello La Guardia, Robert F. Wagner, Abe Beame, and Ed Koch, including oral histories; the papers of the New York City Council; the New York City Housing Authority; the Steinway Piano Company; Queens history collection. The NYPL has a dozen branches in Staten Island. The Staten Island Historical Society’s collections tell the story of the American experience through the lives of Staten Islanders.